Grammy Award-winning US-based rock band Weezer has been around for well over 2 decades. Soon after the band was formed in 1992, they shot into the limelight with 2 highly successful studio albums Weezer (Blue Album) and Pinkerton which are ranked among the best albums of the 1990s. After a 2-year hiatus in the late 90s, the band reunited in 2000 and has over the years, maintained their relevance, dropping back-to-back hit singles and albums. The band released 11 albums between 1994 and 2017 accompanied by over 35 million album sales worldwide. Weezer has remained a 4-piece band since its formation in the early 1990s though there have been changes in its original lineup over the years. 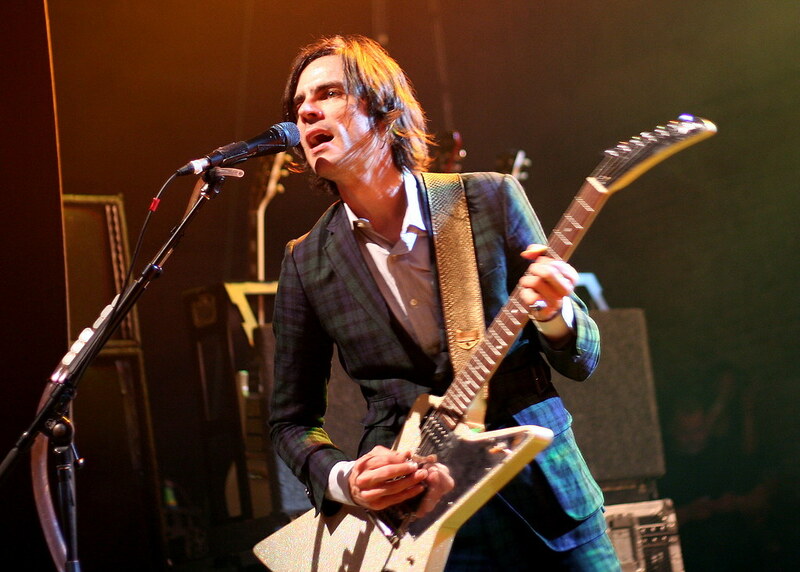 The band currently comprises of 2 founding members Rivers Cuomo and Patrick Wilson, as well as Brian Bell and Scott Shriner. The other founding members who have since departed the band are bassist Matt Sharp and guitarist Jason Cropper. 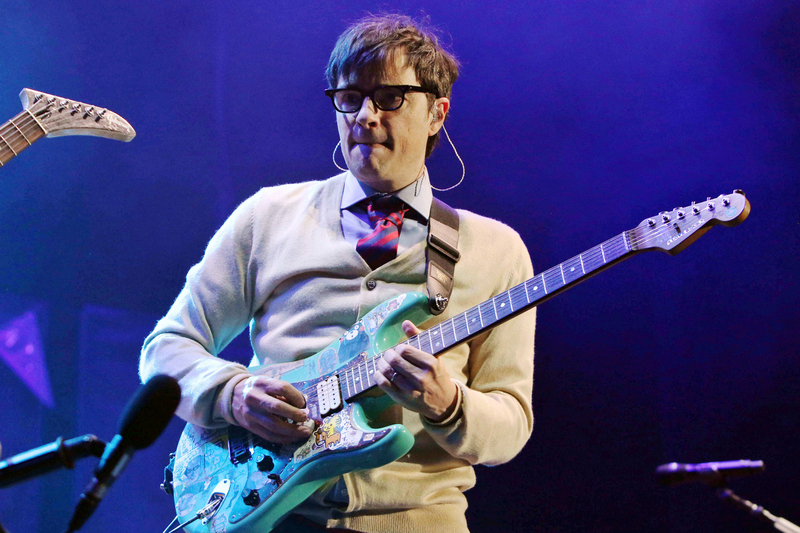 Rivers Cuomo is one of the founding members and the frontman of the band Weezer. He is the lead vocalist, lead guitarist, as well as the main songwriter of the band. He also plays the keyboards and the drums occasionally. He was born in June 1970 in New York City but he grew up in Pomfret, Connecticut. Indeed, the apple does not fall far from the tree as Cuomo’s father was a musician and drummer in his youth. At the age of eighteen, he moved to Los Angeles where he began his music career. Cuomo played for different bands before deciding to form the band Weezer alongside three others on February 14, 1992. The band’s name “Weezer” was actually Cuomo’s childhood nickname. Beyond his brilliant work with the band, Rivers Cuomo has also recorded several albums as a solo artist including Alone: The Home Recordings of Rivers Cuomo (2007), Alone II: The Home Recordings of Rivers Cuomo (2008) and Alone III: The Pinkerton Years (2011). He also released an EP Not Alone – Rivers Cuomo and Friends: Live at Fingerprints in 2009. The multitalented music star has also worked on a Japanese-language album titled Scott & Rivers which he created in collaboration with singer-songwriter Scott Murphy. Cuomo holds a Bachelor of Arts degree in English from Harvard University. He got married on June 18, 2006, to his long-term girlfriend Kyoko Ito. The couple has 2 children. Their first child was born in 2007, a daughter named Mia and they welcomed their second child in 2011, a son named Leo. 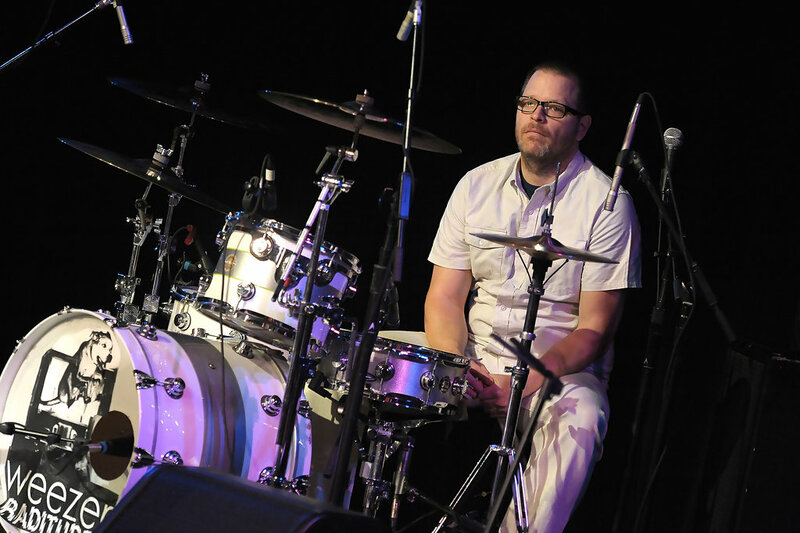 Patrick Wilson is also a founding member of Weezer and the band’s main drummer/percussionist since it was formed. He is equally a backup vocalist and occasionally, he plays the guitar and keyboard. Wilson also writes songs for the band. He was born Patrick George Wilson in February 1969 in Buffalo, New York. There, he began taking drumming lessons as a high schooler and later started teaching other students after gaining mastery of the instrument. Wilson relocated to Los Angeles at age 21 after dropping out of college. He played for different bands in LA before uniting with the other founding Weezer members in 1992 and he has remained a part of the band ever since. In addition to his work with Weezer, Patrick Wilson is also the frontman of another rock band The Special Goodness (TSG) which he formed back in 1996. Wilson has released several albums with TSG including Special Goodness (1998), At Some Point, Birds and Flowers Became Interesting (2001), Land Air Sea (2003) and Natural (2012). Several members have joined and left the band at different times in the past but Wilson remains its only consistent member. Although not one of the original founding members of Weezer, Brian Bell has been a part of all the band’s successes for as long as we all can remember. He joined the band in 1993, a year after it was formed as a replacement for Jason Cropper. Bell plays the rhythm guitar and the keyboard. He is also a backup vocalist and an occasional lead vocalist. Born in 1968 in Iowa City, Iowa, Bell took an interest in music from a very tender age. He first learnt to play the piano as a child and later began taking guitar lessons while in high school. Upon graduation, he chose to move to Los Angeles to begin his music career as against going to college. Before joining Weezer in 1993, Bell was a member of a music band named Carnival Art and he released 3 studio albums and one EP with the band. Beyond his successful career as a member of Weever, Bell also has other spin-off projects to his name. He fronted the alternative rock band Space Twins from 1993 to 2005. The band released 3 EPs No Show (1994), Osaka Aquabus (1997), TV, Music & Candy (1998) and one LP The End of Imagining (2003) during its 12-year spell. Brian Bell also founded another band ‘The Relationship’ in 2006 under which he has released 2 studio albums The Relationship (2010) and Clara Obscura (2017). The music star is also an occasional actor having marked his on-screen debut in the 2006 biopic Factory Girl. He also contributed to the soundtrack of the movie by performing a cover of the song Heroin which was originally done by The Velvet Underground. The longest-serving bass guitarist of the band Weezer is Scott Shriner. He joined the band back in 2001 following the abrupt departure of the band’s former bass guitarist Mikey Welsh. Shriner equally plays the keyboards, serves as a backup vocalist and an occasional lead vocalist. He equally makes contributions to the band’s songwriting. He was born Scott Gardner Shriner in July 1965 in the city of Toledo, Ohio. He served in the marine corps and after exiting the force, he began learning to play the bass guitar under his high school teacher. He played for several music bands in his home city before he ultimately moved to Los Angeles at the age of 25. He attended the Musicians Institute in Hollywood, California and afterwards, he performed with several other music bands/independent. He originally joined Weezer on an interim basis but was soon made a full-time member of the band. Scott Shriner marked his recording debut on the band’s 4th studio album Maladroit (2002) and has contributed to all other recordings of the band ever since. Scott Shriner is married to Jillian Lauren who is a best-selling author and performer. They tied the knot back in 2005 and together, they have two adopted sons. The band Weever also has a touring member Karl Koch who joined the band back in 2010. He plays the keyboard, the rhythm, bass and lead guitar. The band’s former founding members are Matt Sharp, a bassist (1992–1998), Mikey Welsh, also a bassist (1998–2001) and Jason Cropper, a rhythm guitarist (1992–1993). The band’s former touring members include Bobby Schneck, a multi-instrumentalist (2000–2005), Josh Freese, a percussionist (2009–2012), as well as Daniel Brummel who plays the rhythm and lead guitar and the keyboard (2012–2014). Following the formation of the band in February 1992, the original members of the group quickly set to work on their first body of music. Their eponymous debut studio album Weezer (Blue Album) was released on May 10, 1994, and it was both a critical and commercial success. The album has since attained multi-platinum status and its success set the tone for what is to become of the band’s career in the long run. The band solidified its status with the release of a second studio album Pinkerton in September 1996. Though the album was initially met with mixed reviews, it has since garnered a cult following in addition to widespread critical acclaim. Pinkerton also attained platinum certification in 2016, 2 decades after it was released. From 1992 when Weever was formed to the year 2017, the band released 11 studio albums, 2 compilation albums, one video album and 6 EPs. This beloved quartet is also working on their self-titled 12th studio album Weezer (Black Album) which is billed to be released in March 2019. Weezer embarked on a hiatus in mid-1997 after the completion of their Pinkerton tour. The band’s bassist at the time Matt Sharp quit the group while the other members concentrated on their side projects. Weezer’s lead vocalist and lead songwriter Rivers Cuomo also battled depression within this period and this stalled their efforts to create any new material. The group later hired a new bassist and eventually reunited in April 2000, bringing an end to their over 2-year break. The Weezer’s has done a lot of brilliant works in their long-running music career and this has earned the group numerous accolades over the years. The band has received at least 4 Grammy Award nominations including a win in 2009 for the Best Music Video Award for their hit single “Pork and Beans”. The band’s 11th studio album Pacific Daydream (2017) was nominated for the Best Rock Album Award for the 61st Annual Grammy Awards. The band has also received at least 5 MTV Video Music Awards out of 8 nominations. Weezer has equally been nominated for not less than 3 MTV Europe Music Awards.